I am in the process of doing and event i would like to be available to do something like this but not sure were to start. 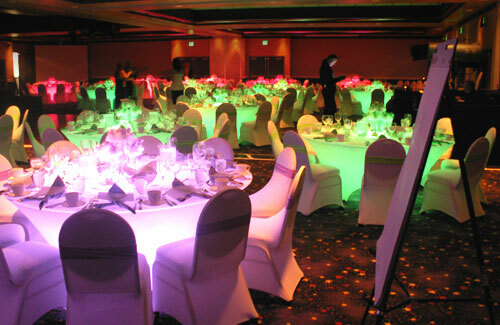 I would like to have The tables glow as it's shown in the pictures. Welcome to the forum. I am thinking that this was probably done using incandescent or florescent lights and not LEDs. I think your best bet would be to use a table with a glass or clear plastic top and a few 2 foot florescent lamps mounted underneath. 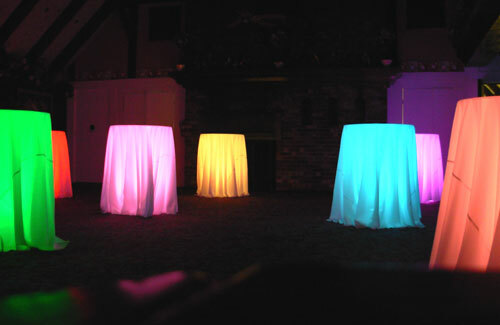 Those tables are nice, yes probably not done with LEDS..
You could have tables that change colour, fade in and out, and even strobe..that would be pretty neat I think.